¯ Transparency International Zambia (TIZ) director Goodwell Lungu is one of the moles placed at the results totalling centre and is working with Emmanuel Mwamba and a gang of Ugandans and other foreigners to rig elections. 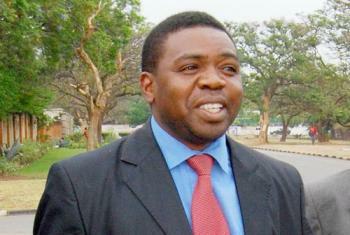 The other mole in the civil society at the totalling centre is Francis Mwale, a former lawyer for TIZ . The two are there to spy on international monitors and observers and try to influence international monitors opinions on the credibility of the elections. A person close to the two PF moles told the Watchdog that Mwale even carries PF chitenge materials in his car when he goes to Mulungushi. Apart from relaying data to Mwamba, the two, using the name of TIZ, are giving international monitors unsolicited opinions on how credible the ECZ is. Last week, Goodwell Lungu issued a foolish statement that it is not possible to rig elections in Zambia, while he was rehearsing how to rig the Zambian polls. Transparency International is a respected global organisation but it is money hungry people like Lungu that damage its reputation in Africa. We wonder if the TIZ board knows how Lungu is using the orgaanisation to advance the interests of the PF. The whole day, Lungu has been celebrating that ‘we’, meaning PF, have won the elections with 52 per cent. This percentage is what Lungu, Mwamba and other PF criminals are targeting to achieve by inflating Edgar Lungu’s results. International monitors and observers are warned to be cautions when dealing with Goodwell Lungu as they may end up writing embarrassing reports. The UPND IT people are advised to search Lungu as he could be carrying some gadgets that he is using to interfere with the system.